Black Friday 20 percent off everything!!! 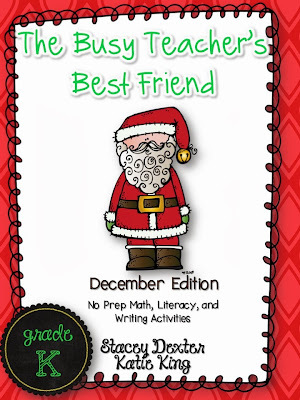 There is another great sale looming for Monday and Tuesday, but I figured many of you would want to prep materials for Monday! Here are some of my Wintery Products for you! As usual it took me longer than I thought it would, BUT alas---it's finished and I still have several days until December! 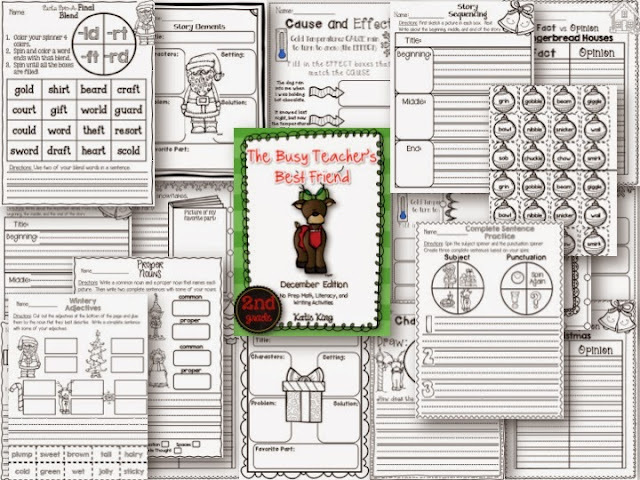 The unit and my other December Busy Teachers, will be discounted 20% today and tomorrow! 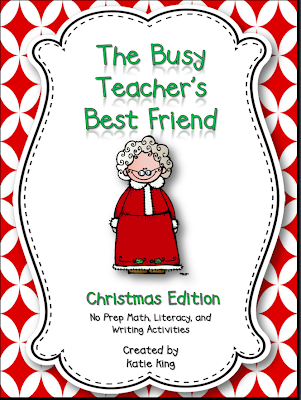 And if you can't do Christmasy things....Here is your Busy Teacher!!! 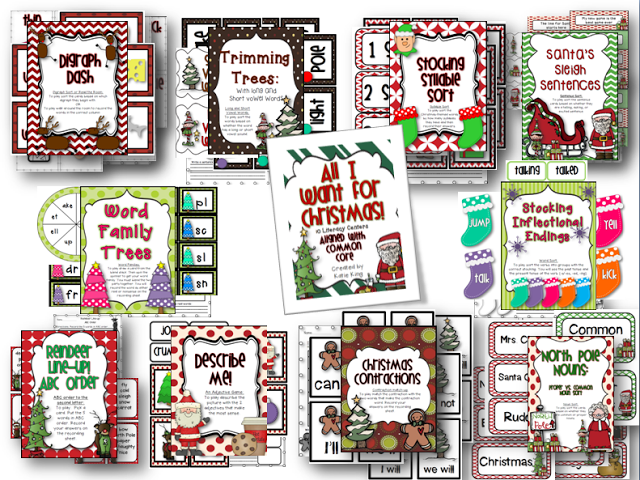 I have Second Grade Christmas Centers in the works...and I will be back soon to share!!! If people think we can just follow the programs that are given to us....they are nuts! We have kids all over the place. My job as their teacher is to meet their needs. Acceleration---I have a child who is is about 2 teeny percentage points away from moving on to multiplication on Xtra Math. 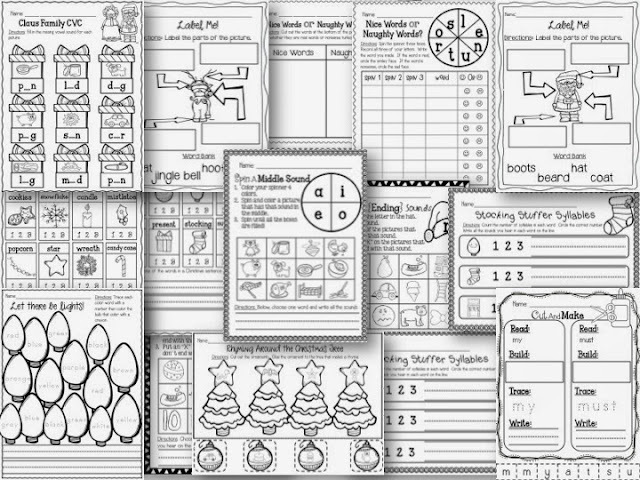 I pulled out this multiplication game that I made a couple of years ago for some SUPER high flying first graders. Remediation- I am working with two adorable little guys on blends. 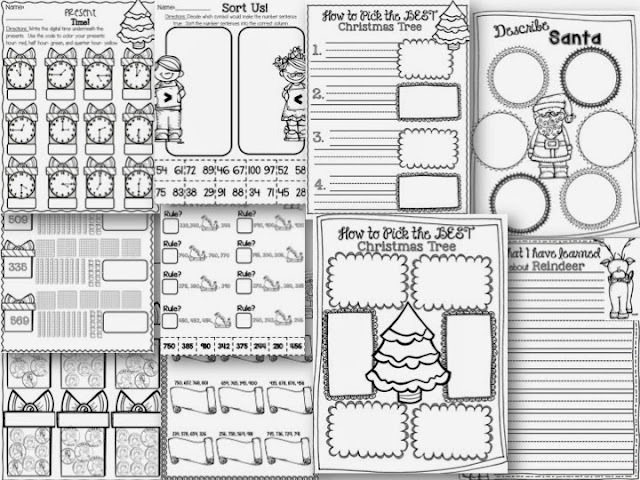 I already have the blend posters in my room year round, but I pulled the charts out and a few of the printables to help solidify those skills! 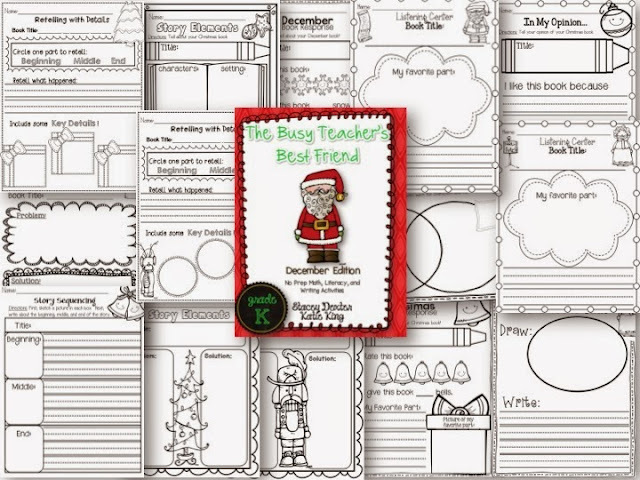 You can find all of that in my Blends and Digraph Pack. We are up to our eyebrows in Animal Nonfiction Articles. We are using Melissa's incredible pack to guide us. 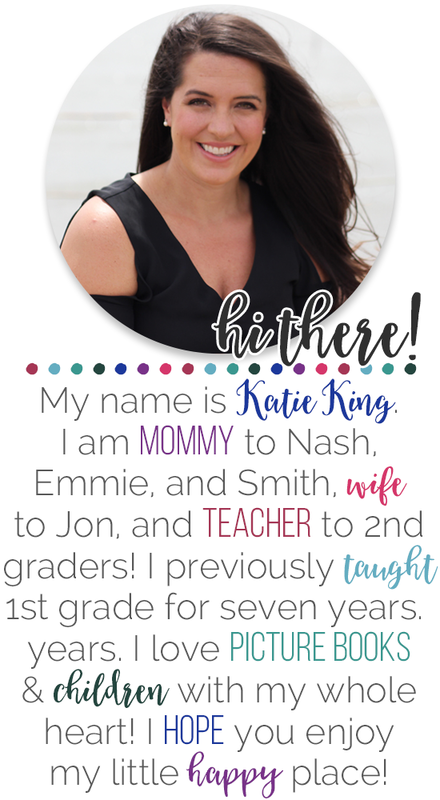 Seriously---I cannot say enough about this pack---she is winning me major brownie points with my principal (ha- and to think my principal thinks it is my awesomeness that she is seeing). I will follow up over Thanksgiving break with some pictures of our finished articles! 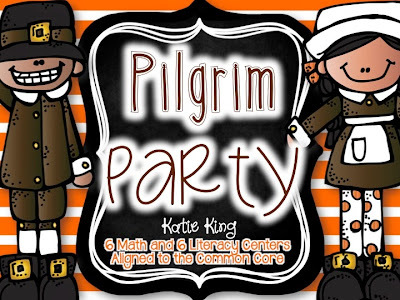 Our Math Workstations and Literacy/Daily 5 Rotations have been from my Pilgrim Party! I LOVE using hands-on ways to have a spiral review to my curriculum. So is Mommy sweet girl, so is Mommy! Nash got his yellow belt at Karate. He is thrilled, and we are OH-so-proud. 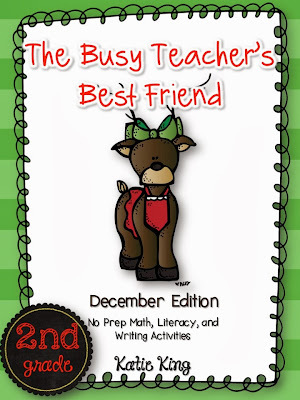 The Busy Teacher's Best Friend for 2nd grade WILL be posted today! Yay!!! I will give away three copies of it on my fanpage tonight, and I will blog about it tomorrow! 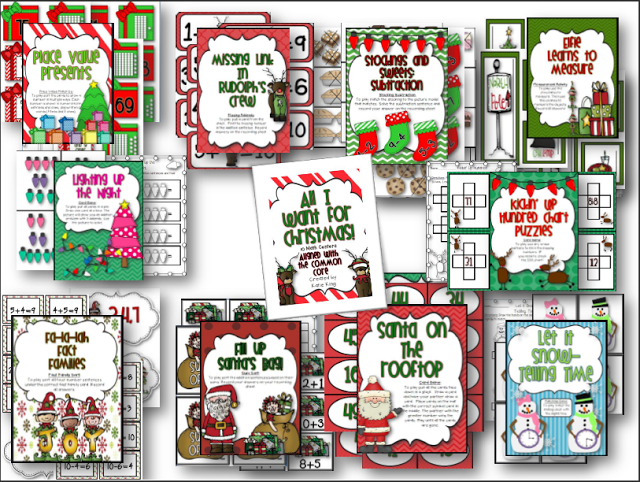 Take Me Back Tuesday: Christmas Centers Style! And then I had a literacy meeting until almost 5 and someone has got to cook some dinner in this joint. 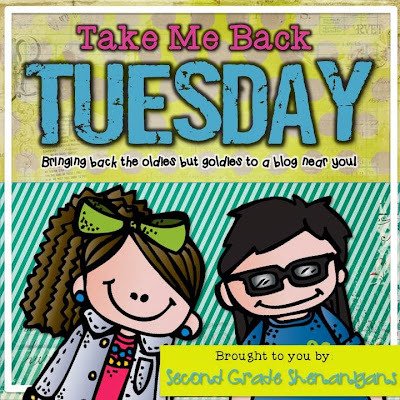 So thank goodness for Hope's FANTASTIC idea of a "Take Me Back Tuesday!" I am a one-holiday-at-a-time girl. That is why my Halloween and Thanksgiving stuff got posted right before the actual holidays. Yes- we lost a bow somewhere :) Good thing we have hundreds! Although I have tons of respect for Thanksgiving and am NOT overlooking it, I did want to give myself ample time to prepare centers and packet for Christmas without spending my whole break working. So I had to get myself in the right mind frame. 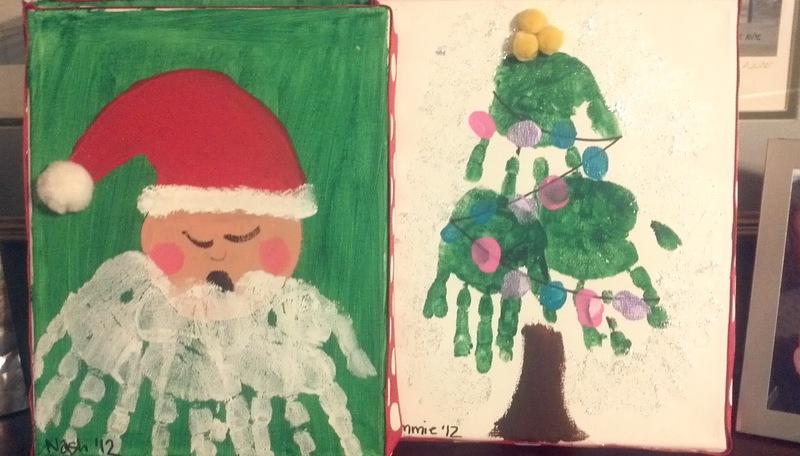 We made hand print art. Don't tell my in-laws--these are part of their Christmas gifts! 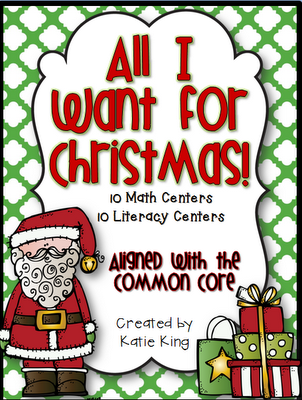 I worked really hard to align all the centers to the Common Core Standards. This is my second school year working with them! 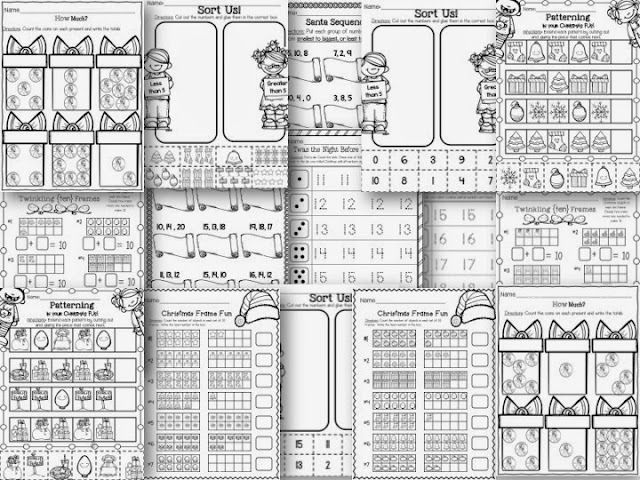 You can check out the sets individually in my store OR you can get ALL 160 pages for a discounted prize! 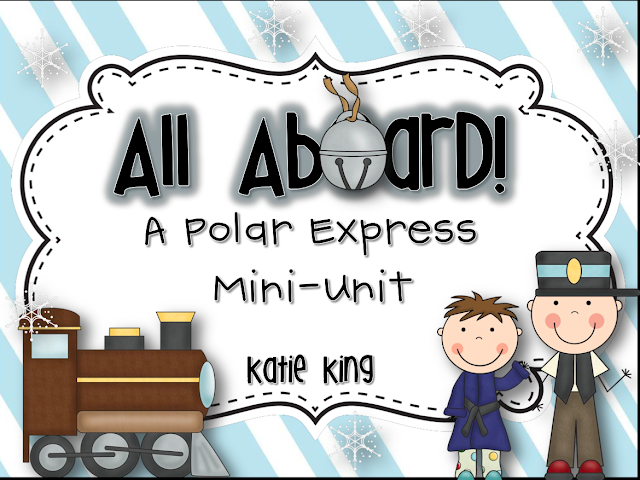 So today while my kids were Brain Boosters, I drug out ALL my Christmas centers and marched them across the hall to the 1st grade teachers that I adore so much. I just can't stand to see them not being used this year, BUT I had to take some pictures before I departed ways with my babies! 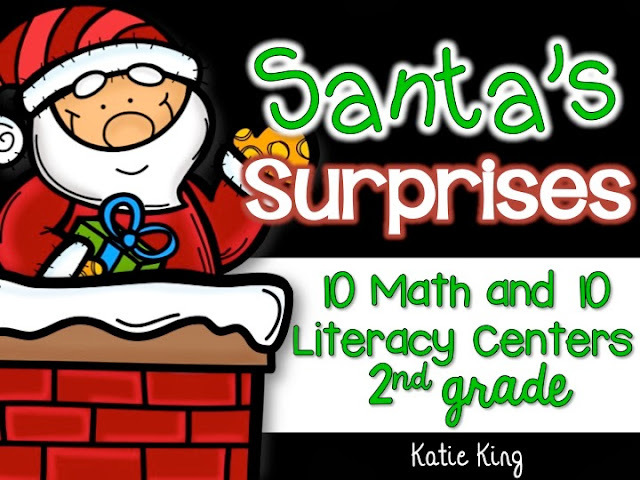 As happy as I was to have these to the first grade teachers, I am experiencing a slight panic attack right now!! 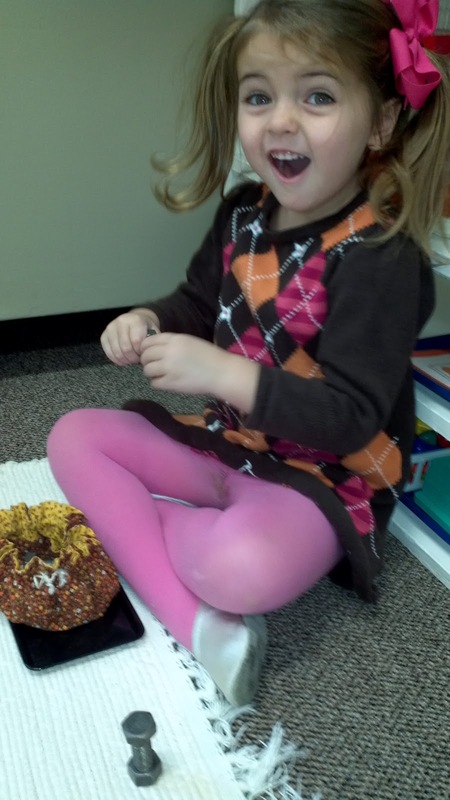 I have to get on the ball for my 2nd grade stuff! 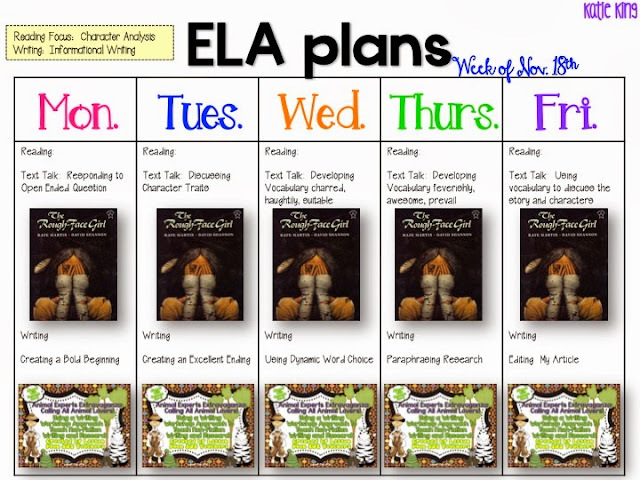 I got up extra early this morning to put together Visual Plans for this upcoming week! 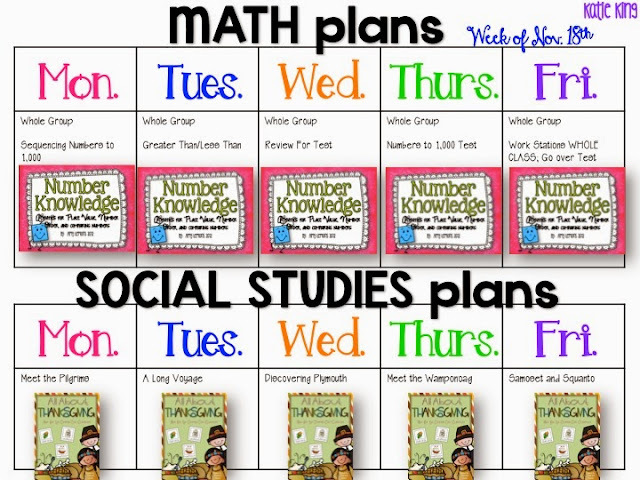 I want to make sure that my kiddos get the message loud and clear that we have TONS of work to do this week---they can't mentally be on Thanksgiving Break yet! In order to access the links to these wonderful packets, you have to click on the pictures to download a pdf, then you will be able to follow the hyperlinks in the pdf...I think..I hope! 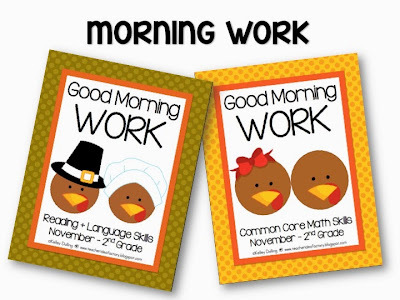 I start everyday with a front/back version of Kelley's Morning Work! 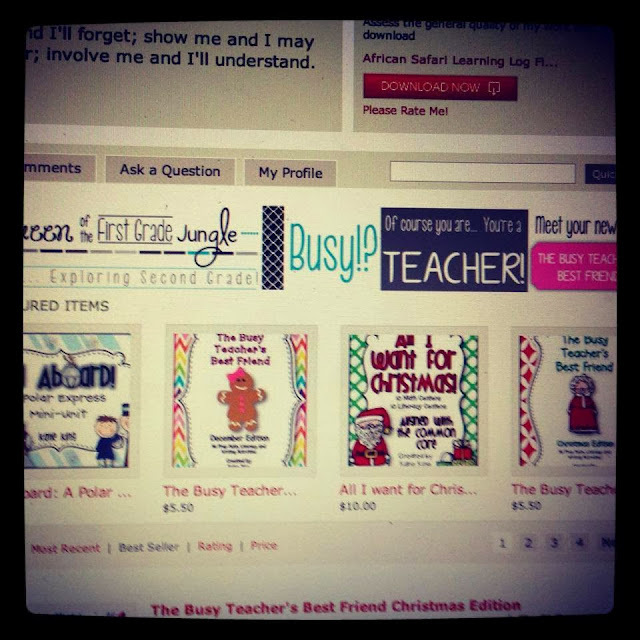 My school uses two different reading series: Literacy by Design and Text Talk. If you know me, you know I am not a program person. I typically despise them. I actually really like both of these series. This week is one of my Text Talk weeks. I am using Melissa's FANTASTIC writing unit for our Animal Feature Articles. I have always written All About Books with my first graders, but I am loving the transition to articles. I can't wait to share the finished products with you. 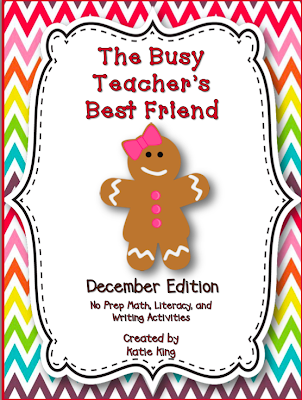 I also have a math series, but I get to supplement with my own resources...so of course I do! 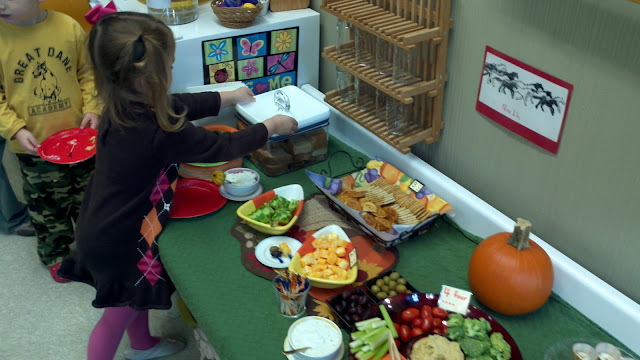 Stephanie's Thanksgiving packet it just PERFECT for my 2nd graders. I LOVE the reading passages! When I do Daily 5, my students have choice in every part of it. I do ask that they complete "my" word word first, and then they may go onto any other word work that they like! Bratty of me??? 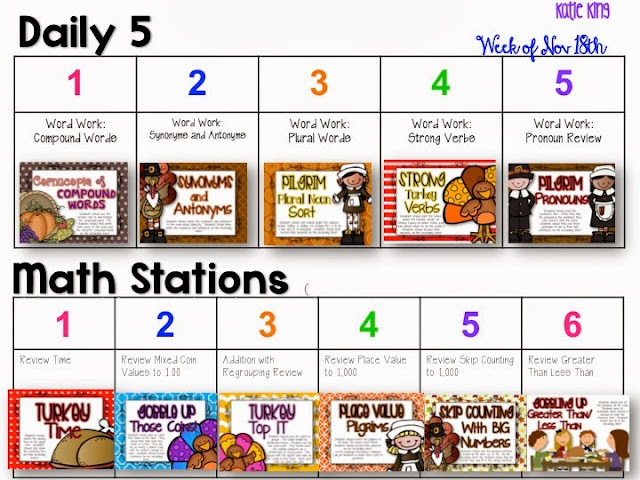 Everything in Daily 5 and Math Workstations for this upcoming week are from Pilgrim Party! I also thought you might be interested in knowing how I do homework. I send home a packet on Mondays and it is due back on Fridays. 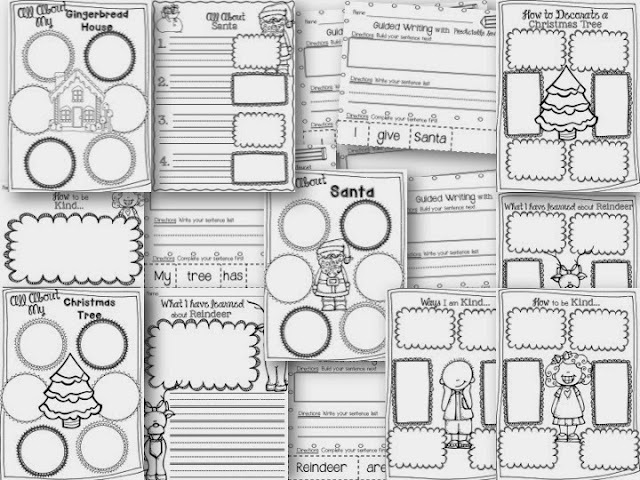 My kids can choose how they practice spelling and choose what they want to read (for 40 minutes total a week), but I also give them about 5 handouts. 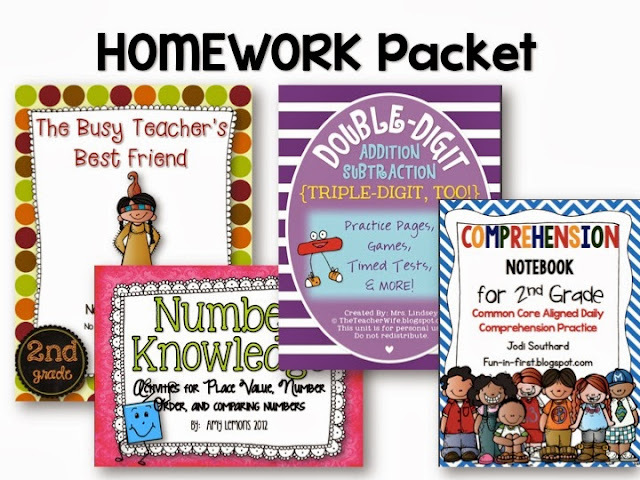 I view homework as a way to communicate with parents. They need to know what I expect of their children and what better way to get that across then to watch your child do it! PHEW! Now I am off to enjoy some family time. I may sneak in a little work, but it's all about them today! 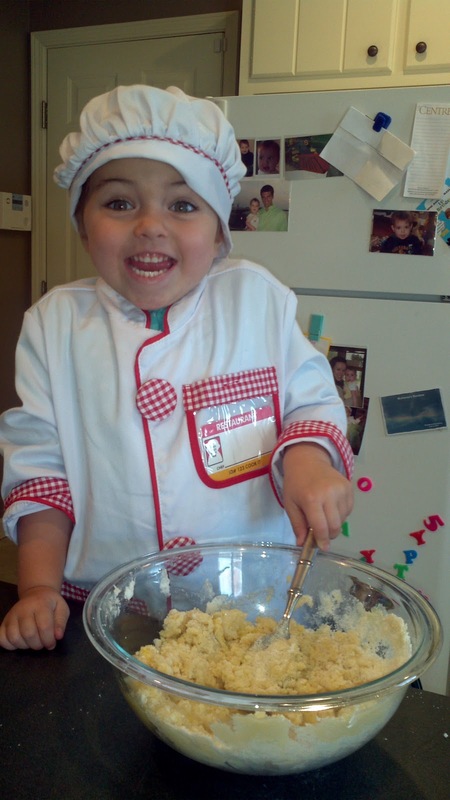 I have linked up with the ah-mazing Deedee! Go check out everyone's plans!